Thorsten Overgaard "Lightroom Survival Course"
The aim of the workshop is to give you the overview and necessary tools, as well as a way to handle editing so that you can produce the image quality you require in Lightroom, without having to know everything about the software. The course gives you the necessary setup for a secure and efficient workflow when you empty your images onto the computer. How do I arrange my photos?, should I use previews?, how about keywords?, is there some tool I missed?, which tools does others use?, how do I convert to black & white so it looks good?, what color space should I choose?, how do I use the rating system? ... and many other questions will be answered. The course is (thank God!) not a two-day course where we go through all Lightrooms features. 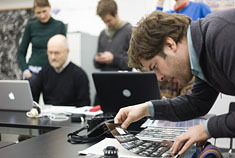 It is a course for photographers in how to get photographic results using Lightroom. It's for anyone who have little or no experience with Lightroom - or those who have enough to know they don't know what's the up and down on a workflow. We also go shoot for one day ... because that is the real fun. When possible, we have the seminar the first day, shoot the next, and then have new photos to edit on the third day. The seminars tend to be social gatherings where we get to see what gear others use, try each others lenses and in general talk a lot, visit a great deal of cafees and great food places. In any case we take it from the very beginnign with clarifying the basic setting. Which images goes where, how to make sure keywords and copyright goes into files, previews settings, color and image size settings, etc. ... and from there we take off an give you a 25-step guide to Lightroom so you know what to use, and what not to bother about. The course is delivered by Thorsten Overgaard and one helper/instructor so everybody gets the help they need. And the seminar includes a run-through from Thorsten Overgaard on how to select the right images, and then what to do with them. Basically how does a tested workflow look. When applicable/possible, we have a guest teacher that will tell about his or her workflow. I generally don't focus on technology or offer Nirvana for gearheads. But I recognize any sort of photography as an art form and a way to communicate on an aesthetic level without words. Which is an ability we all have and which can be improved from no matter what level you are at. Birgit Krippner from New Zealand/New York will be special guest at the Berlin "Lightroom Survival Course" and show her personal workflow in Lightroom, as well as how she shoots street. 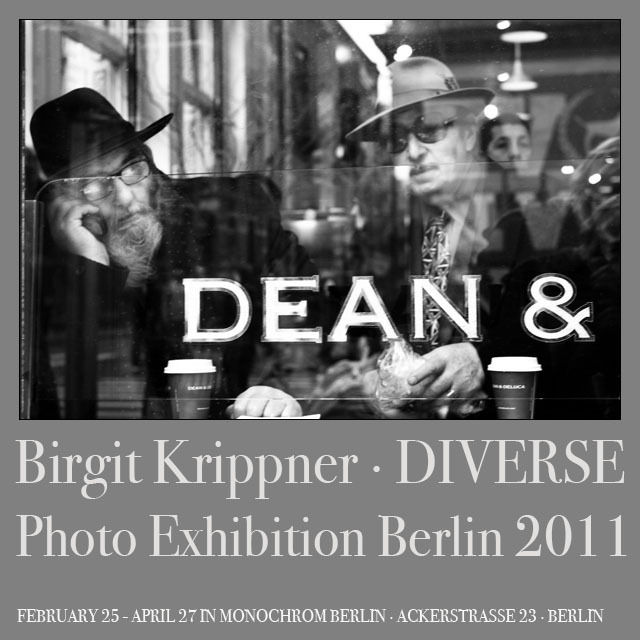 Berlin February 25-27, 2011 where Birgit Krippner is guest and will show how her personal workflow in Lightroom is. Tue Juelsbo whom some may know from other seminars is assistant instructor. As Birgit Krippner also happens to open her new exhibition in Berlin the first evening of the seminar, we will attend the opening recption and make a party out of it, meeting other photographers from Berlin. 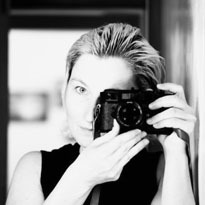 Birgit Krippner will participate throughout the days and also be shooting with us on the shooting day. 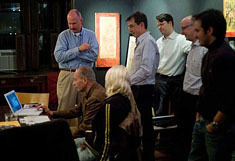 Other locations and dates will follow, USA in July-August 2011. See the Seminar Calendar for current dates or feel free to e-mail thorsten@overgaard.dk to get info on coming seminars. Other tutoring possibilities: Look at the page Learning With Thorsten Overgaard to read more about photo seminars, personal one-on-one tutoring, extension courses and workflow seminars. 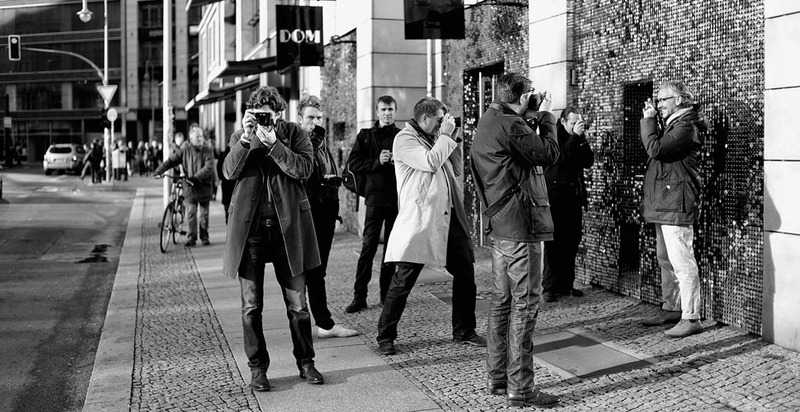 Photo above: The November 2010 seminar in Berlin, out and about shooting. Also visit my Facebook group "Thorsten Overgaard European School of Photography" where there is more images from seminars and one-on-one training.